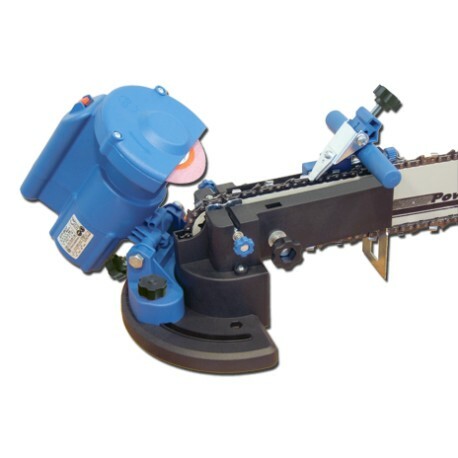 The Chain Saw Sharpener for Bar (MP) is able to sharpene all types of chains from +35° to -35°. 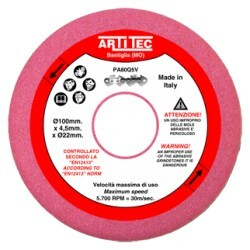 This unit allows you to sharpen saw chains without removing the chain from the bar. 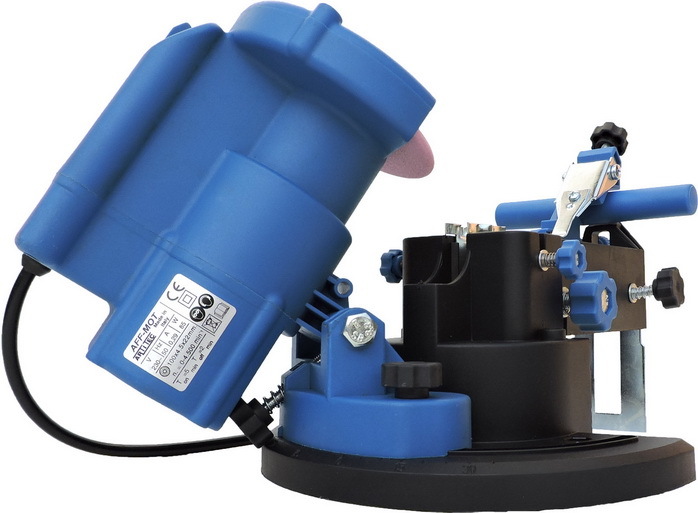 It combines professional characteristics (suchas precision and high-power of the motor), with hobby characteristics (such as low cost and maintenance). 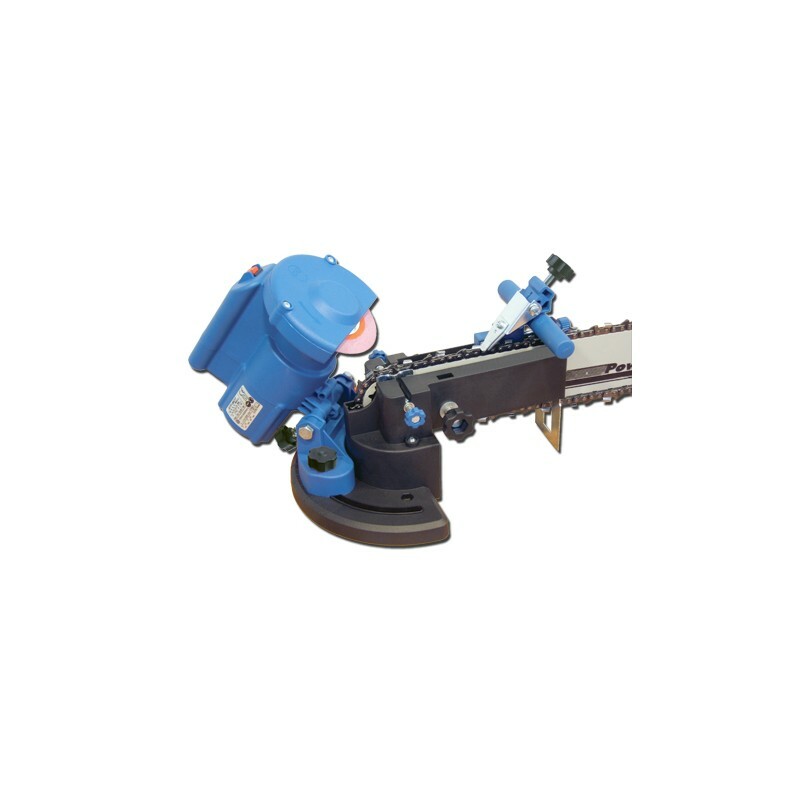 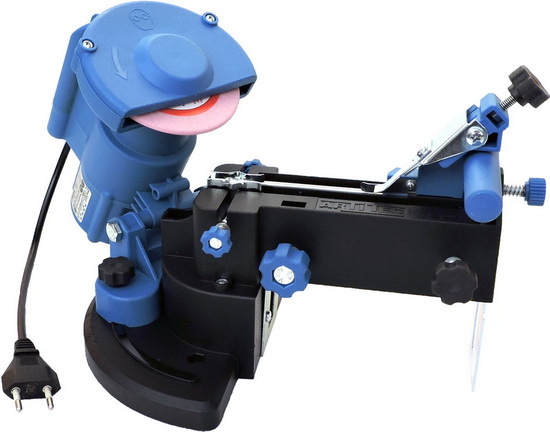 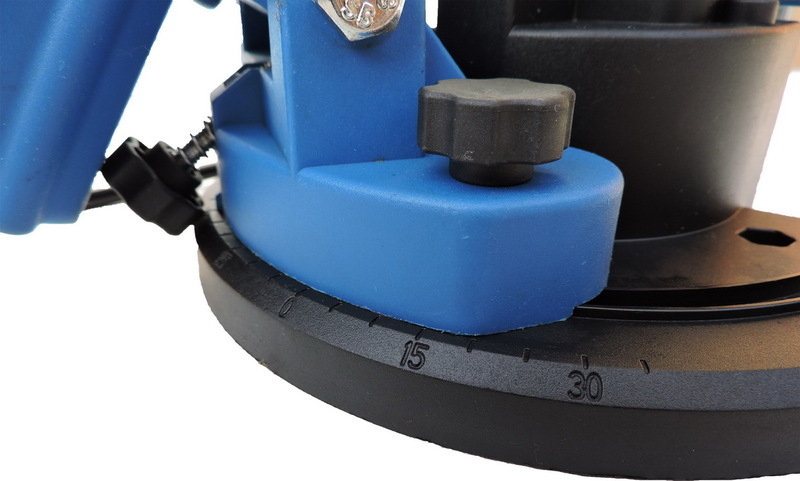 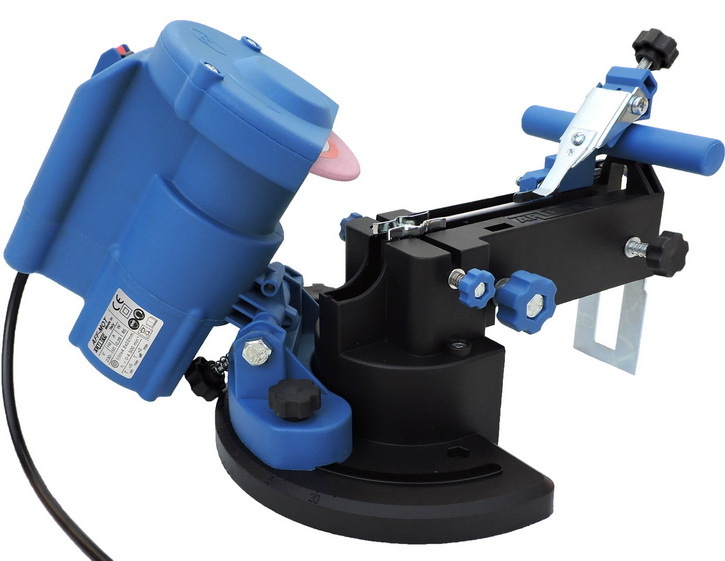 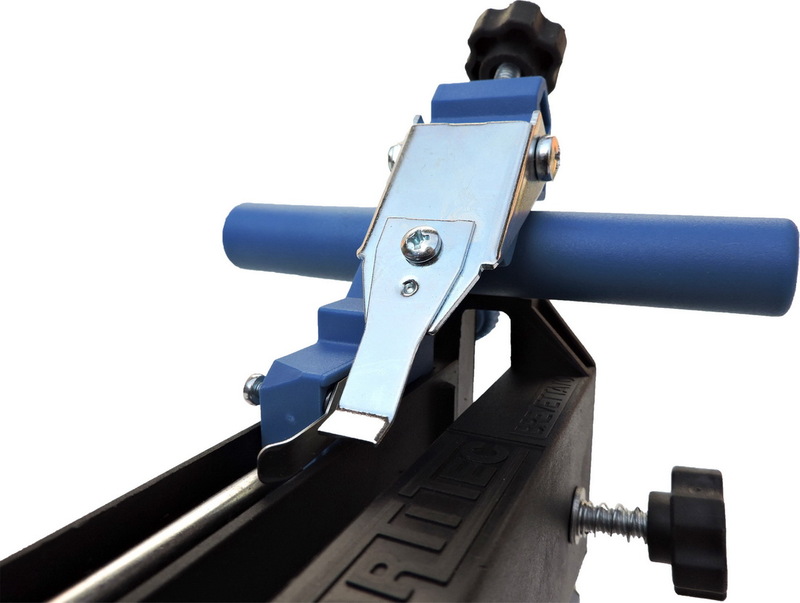 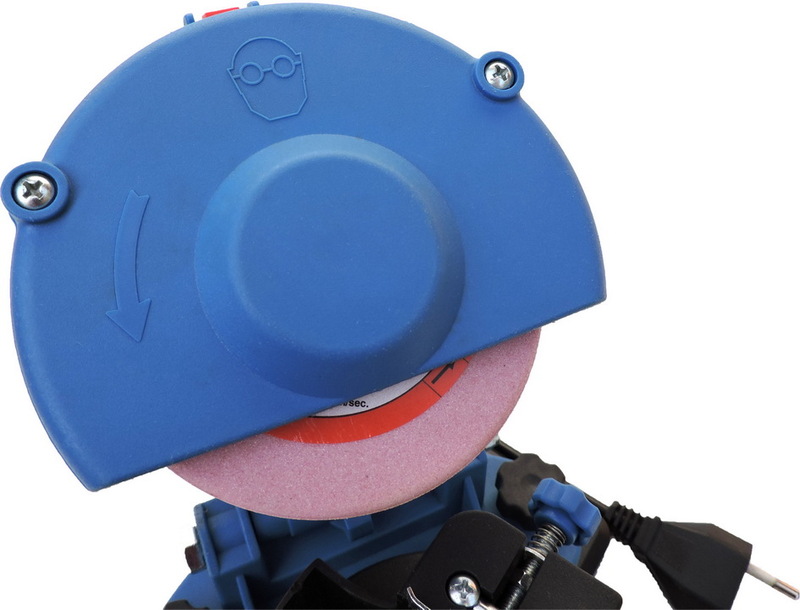 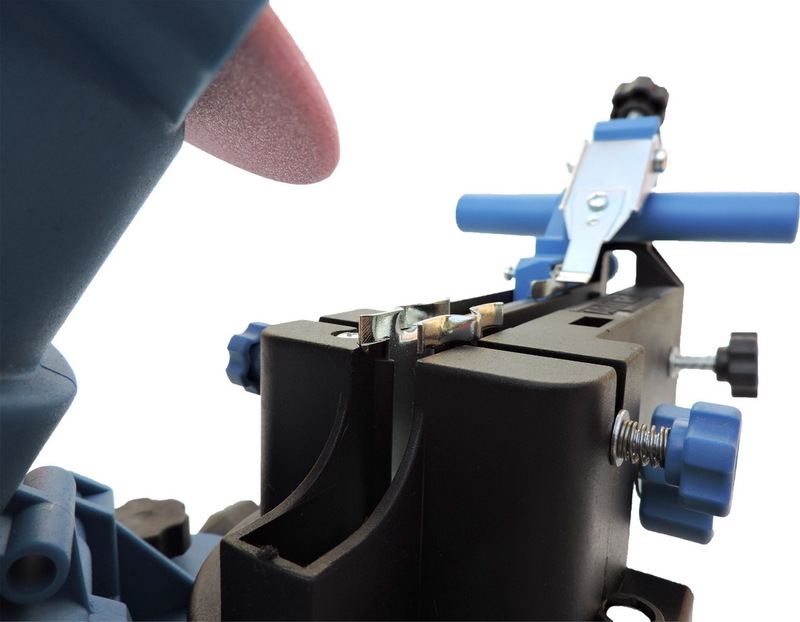 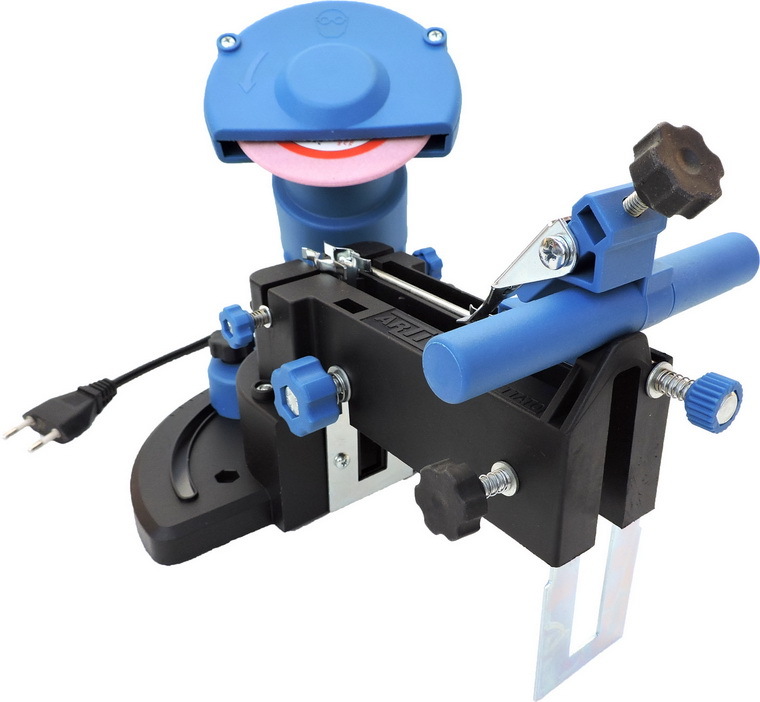 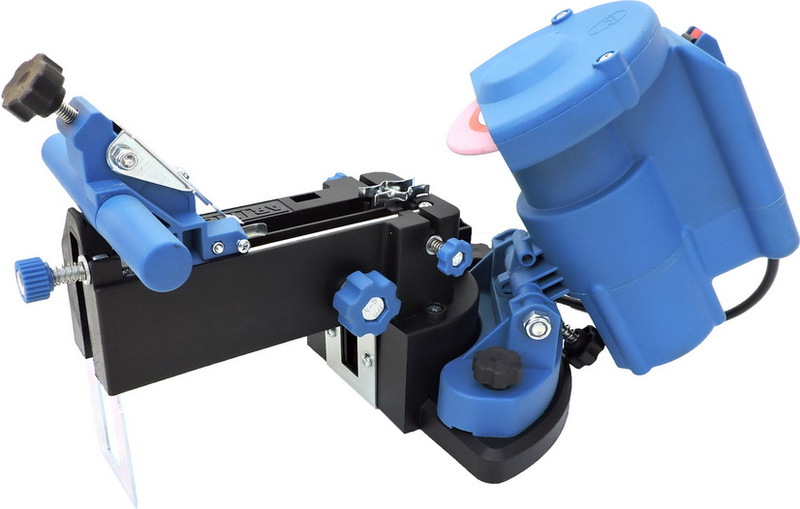 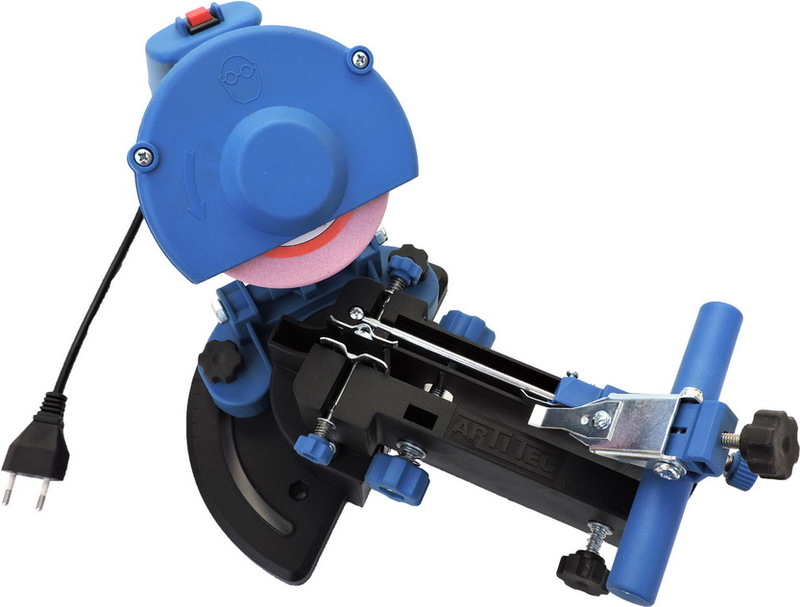 The Chain Saw Sharpener for Bar (MP) is uses a permanent magnet motor to be able to supply the maximum power even when the friction between the grinding wheel and the chain is increasing.